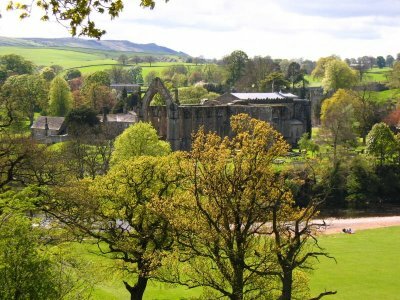 I think that anyone who has been to Bolton Abbey would agree that it is a pretty special place. The area boasts impressive medieval ruins of an Augustinian Monastery along with some rather challenging stepping stones across the River Wharfe. All walkers wander through Strid Wood and down to the Strid itself where the water passes through a very narrow ravine creating fierce rapids, quite a contrast from the tranquillity from the surrounding woodland. The long walkers will also get to pass through open heather moorland and climb up to the rocky summit of Simon's Seat, which yields stunning views of four of the surrounding valleys.